Writing music for a trumpet requires the knowledge to take your already notated ideas and edit them to make them performable on the trumpet. You can’t simply take a violin part and give it to a trumpet player. Each instrument has special limitations and idiomatic functions that make playing easier. Writing music that violates the capabilities of the trumpeter will leave you with a composition that at worst is not performable and at best is poorly written. Create the music staff so it is written in treble clef. The trumpet plays only in the treble clef. If you have music that already exists, you may need to change the clef. Choose a key signature with 1 to 3 flats when possible. These keys are the easiest for a trumpet to play in. The keys with sharps in them can be very difficult to play because of odd fingerings. Write the music within the correct range for trumpet. Do not go below a middle C (C4) or higher than two octaves above middle C (C6). Take note of any pitches that go higher than C6. This is the range most comfortable for players even though they can play from F#3 to D5. If you are writing for a young player, do not go higher than G5. If it is too high or low, transpose the music into a playable range. This may require that you change the octave of your music if it is already written. 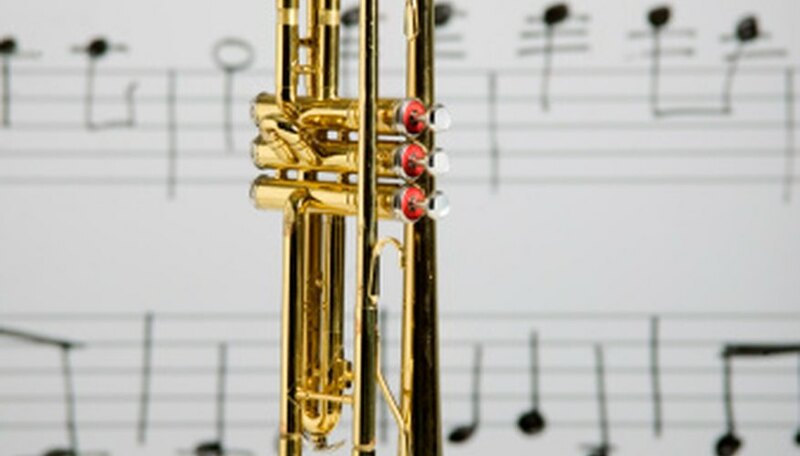 Minimize the amount of time the trumpet has to play in the extreme range from G5 to C6. Reserve this range for necessary purposes or for soloists. Even with a soloist, it is still advisable to keep in the middle of the range when possible. Avoid writing anything that requires the trumpet to play any more than four measures without a breath. A measure is the distance from one bar line to the next; in most music, it will be four beats. The trumpet player doesn’t need much time to breathe; place a minimum of a quarter note at the end of each to catch a quick breath. Transpose the music up a major second, which is two half-steps. This is required if you want the trumpet to sound exactly as you have written it. The trumpet sounds a major second lower than written. Avoid large leaps in the trumpet part. Stepwise motion and occasional skips are preferred.